1. The old Vedic gods became indissolubly involved in the elaborate and mechanical system of worship that had grown up. Speculations as regards the appropriateness of the rules and modes of worship, and their efficacy as regards man's good in this world and the next became prevalent. But all this did not satisfy the religious spirit of the people. 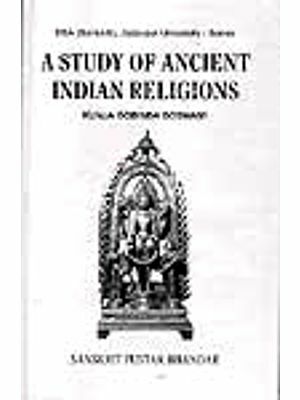 Religious speculation of a more natural order came to be established about the close of the Hymn period and was continued into that of the Upanisads, The various problems about God, man and the world, engaged the attention of many thinkers, and a variety of solutions was arrived at. It is generally believed that the Upanisads teach a system of Pantheism but a close examination will show that they teach not one, but various systems of doctrines as regards the nature of God, man and the world and the relations between them. 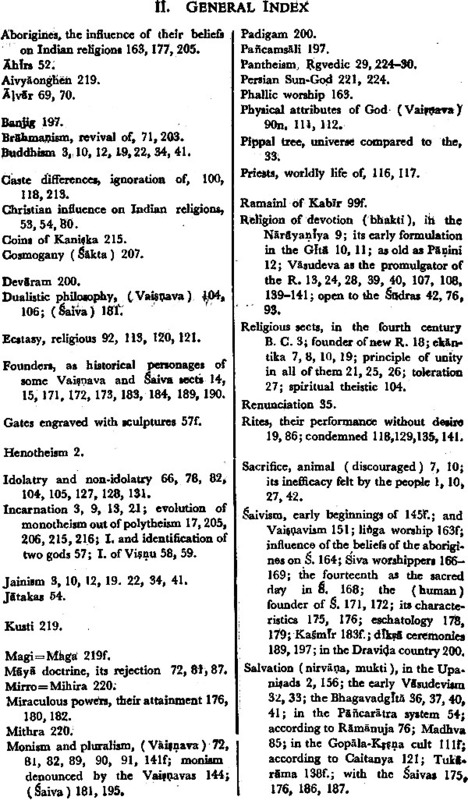 The religio-philo- sophic systems of modern times, which are mutually inconsistent, quote texts from the Upanisads as an authority for their special doctrines. 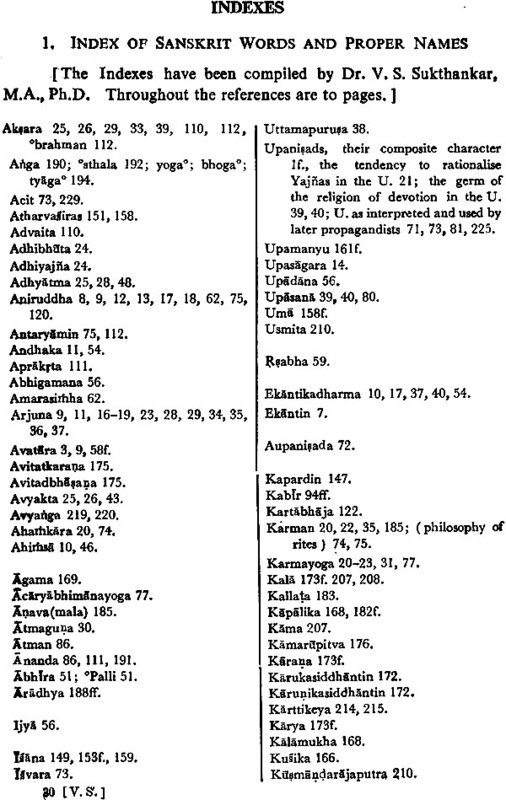 These references to the old books are correct in the most prominent cases, but when the advocates of the systems force into other texts of an opposite nature a meaning consistent with their own special doctrines, they are manifestly wrong, That the Upanisads teach not one but various systems must follow from the fact that they are compilations just as the Rgveda- Samhita is. The speculations of the old seers were clothed by them in words, and these were handed down orally and came to form a large floating mass. When the idea of collecting these speculations arose, they were incorporated into books for the use of individual Vedic schools. Hence it is that we find certain verses, passages and whole sections occurring in one Upanisad reproduced in another. No doubt, the idea of the immanence of God in the world is very prominent in the Upanisads. But if that is what constitutes Pantheism, the liberal religious thought of the present day in Europe also must be regarded as Pantheistic. With the im- manence of God is associated his transcendence also, as stated in the Vedanta-Sutra II. 1. 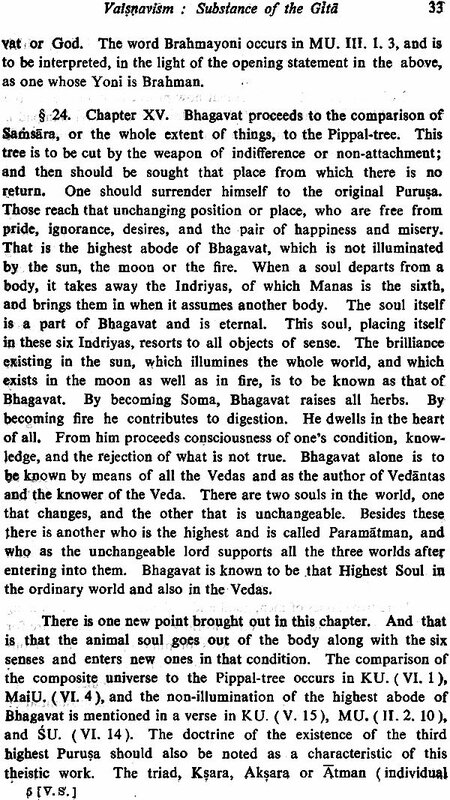 27.2 In addition to these two doctrines the Upanisads teach that God is the protector of all beings, is the lord of all and dwells in the heart of man, that seeing him as he is and everywhere is eternal bliss, that this is to be attained by contemplation and the purification of the soul, and that in the blissful condition the individual soul attains to a perfect similarity with the supreme soul." They also teach the absorption of the individual soul into the supreme as of a river into the ocean, and the unconsciousness of the soul when everything but himself fades away from his knowledge. 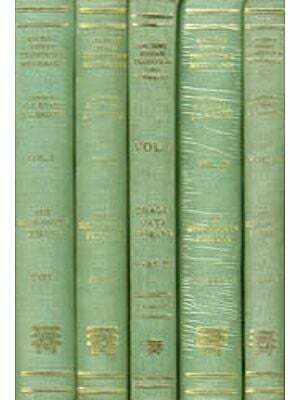 In this respect the doctrine may be regarded as Pantheistic or as setting forth the illusory character of all phenomena. Speculation in the Upanisad times was very free, and it veered round even to the denial of the soul as a substance." 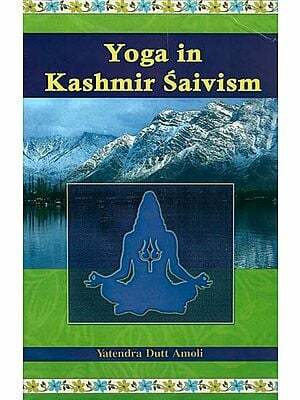 In the subsequent development of religious thought and wor- ship these Upanisad doctrines played an active part. The Heno- theism, so fully explained by Max Miiller, and its ultimate result, the identification of the various gods, also influenced later thinkers. The conception that the supreme spirit manifests himself in various forms which we find expressed in the Upanisads is a development, in the opposite direction, of the idea that one God, for instance Agni, is the same as Varuna, Mitra, Indra and Aryaman. If these several gods are one, one god may become several. This led to the conception of Incarnations or Avataras, which plays such a promi- nent part in the later religious systems. But for ordinary people, an adorable object, with a more distinct personality than that which the theistic portions of the Upanisads attributed to God, was necessary and the philosophic speculations did not answer practical needs. Thus some of the old Vedic gods and others, which were new, became the objects of worship. 2. The tide of free speculations culminated in the east into such systems as those of Buddhism and Jainism; and tbough they denied the existence of God as a creator, or did not use the idea for the promotion of righteousness, and the former practically denied the existence of the human soul as a substance, still, these systems had the needful personal element in the shape of tbeir founders. In the west, however, a theistic system with a god who had come to dwell among men arose. The various religious systems and superstitions that prevailed in the fourth century B. C. are given in the following passage, occurring in the Niddesa, which though of the nature of a commentary is regarded as one of the books of the Pali Buddhistic Canon "The deity of the lay followers of the Ajivakas is the Ajivakas, of those of the Nighanthas is the Nighauthas, of those of the Jatilas (ascetics wearing long matted hair) is the Jatilas, of those of the Paribba- jakas is the Paribbajakas, of those of the Avaruddhakas, is the Avaruddhakas, and the deity of those who are devoted to an elephant, a horse, a cow, a dog, a crow, Vasudeva, Baladeva, Punnabbadda, Manibhadda, Aggi, Nagas, Supannas, Yakkhas, Asuras, Gandhabbas, Maharajas, Cauda, Suriya, Inda, Brahma, Deva, Disa is the elephant, the horse, the cow, the dog, the crow, Vasudeva, Baladeva, Punnabhadda, Manibhadda, etc., respectively." Here a Buddhist, who cannot but be expected to show scant courtesy to religious systems other than his own, places the worshippers of Vasudeva and Baladeva on the same level with those bf fire, moon, sun and Brahma, and even elephants, crows, dogs, etc. 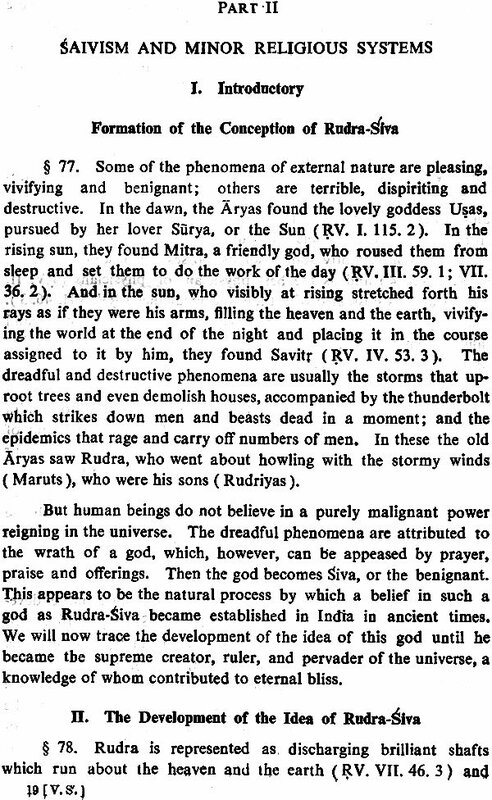 But the worship of Vasudeva was destined to become the predominant religion of a large part of India even to the supersession of that of fire, sun, moon, and Brahma and, of course, of the superstitious adoration of the lower animals. And it will be now our duty to trace its rise and progress. 3. In his comment on Panini IV. 3. 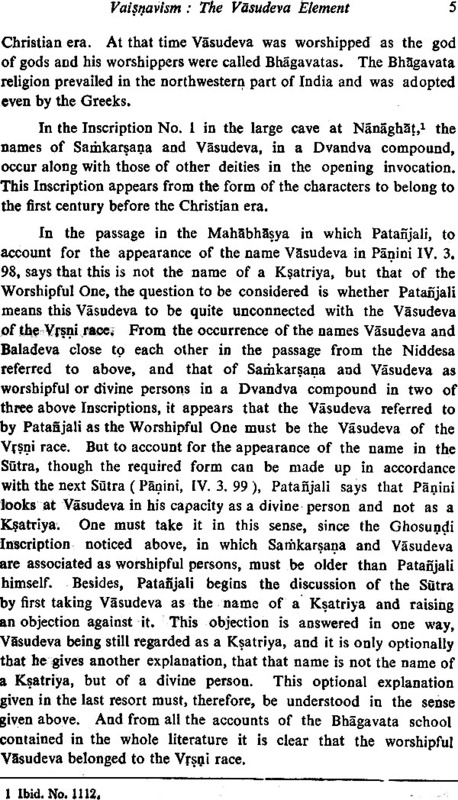 98, Patanjali distinctly states that the Vasudeva contained in the Sutra is the name of the " worshipful ", i. e., of one who is pre-eminently worshipful, i. e., God.' 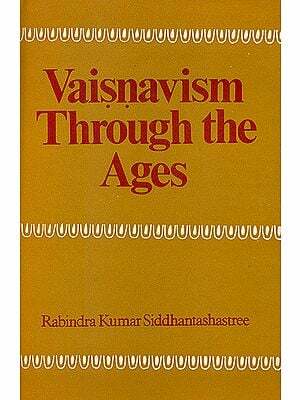 The worship of Vasudeva must be regarded to be as old as Panini. 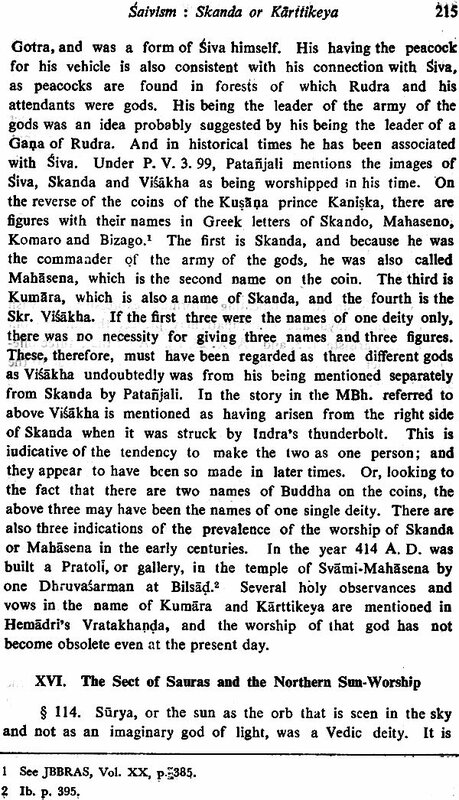 In an Inscription found at Ghosundi in Rajputaua, which unfortunately is in a mutilated condition, the construction of a wall round the hall of worship of Samkarsana and Vasudeva is mentioned. From the form of the characters in the Inscription it appears to have been engraved at least two hundred years B. C.
But human beings do not believe in a purely malignant power reigning in the universe. The dreadful phenomena are attributed to the wrath of a god, which, however, can be ppeased by prayer, praise and offerings. Then the god becomes Siva, or the benignant. 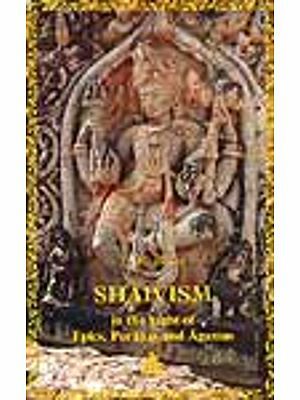 This appears to be the natural process by which a belief in such a god as Rudra-Siva became established in India in ancient times. We will now trace the development of the idea of this god until he became the supreme creator, ruler, and pervader of the universe. a knowledge of whom contributed to eternal bliss. § 78. Rudra is represented as discharging brilliant shafts which run about the heaven and 14e earth (RV. VII. 46. 3) and as possessing weapons which slay cows and men (RV. I. 114. 10). Here the destructive agency of lightning seems to have been clearly in view. He is prayed to by the singers to keep these away from them and to protect the two-footed and four-footed beings belonging to them (RV. I. 114. 1). When, in consequence of the prayers or in the natural course of things, the cattle go unharmed, Rudra is represented to be Pasupa, or protector of the cattle (RV. 1. 114. 9). Rudra is prayed to not to afflict children with disease (RV. VII. 46. 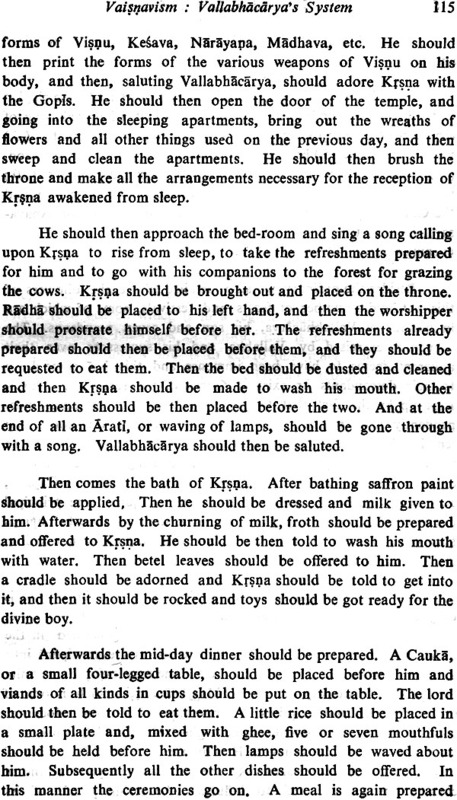 2) and to keep all in the village free from illness (RV. I. 114. 1). Rudra was thus believed to cause diseases, and when men recovered from them or were altogether free from them, that also was attributed to the agency of Rudra; and he is consequently spoken of as possessing healing remedies ( RV. 1. 43. 4) and as the best physician of physicians (RV. II. 33. 4) and as possessed of a thousand medicines (RV. VII. 46.3 ). 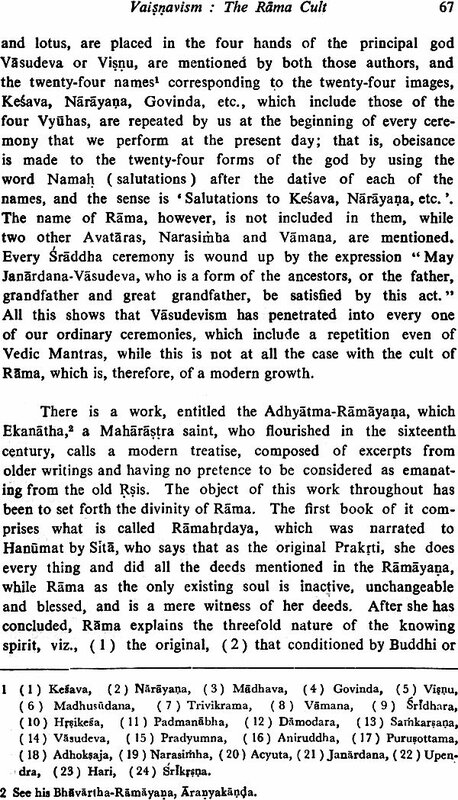 The singers also pray for the acquisition of those pure and salutary remedies belonging to the Maruts and Rudra, which father Manu desired (RV. II. 33. 13). The general character of the prayers addressed to Rudra is well brought out in the following: "Oh Rudra, do not, out of thy anger, injure our children and descendants, our people, our cattle, our houses, and do not kill our men. We invoke thee always with offerings" (RV. I. 114. 8. ). By his power he perceives all earthly beings and by his universal sovereignty he perceives divine beings (RV. VII. 46. 2). Here even in the Rgveda, Rudra is raised to supreme power. § 79. The character of Rudra appears in a much more deve- loped form in the Satarudriya (TS. IV. 5. 1; VS. chapter 16). His benignant form ( Siva. tanuh ) is distinguished from its opposite, the malignant. He is called Girisa or Giritra, "lying on a mountain ", probably because the thunderbolt that he hurls, springs from a cloud, which is often compared to a mountain and in which he was believed to dwell. The cowherds and the female bearers of waters see him as he creeps along with his blue neck and red com- plexion, that is, these simple folk working in the open field see a black cloud tinged red by the soft glow of the lightning. Repre- senting, as Rudra does, the darker powers of nature, he may be expected to dwell away from the habitations of men, and therefore he is called the lord of the paths, of the forests, and of those who roam in them, of thieves and highway robbers, who frequent and move about in lonely places to prevent being detected, and also of outcasts who live away from the usual dwellings of men. In his character as a healer, he appears here as the lord of medicinal herbs and is called a heavenly physician. Being the lord of the open fields or plains, he is the lord of cattle (Pasunam patih ) which roam in them. Then Pasupati became in later times a special appellation of this God. In this manner the range of Rudra became so wide that he came to be called the " lord of the quarters". He is called Kapardin, or the wearer of matted hair, which epithet is probably due to his being regarded as identical with Agni, or fire, the fumes of which look like matted hair. 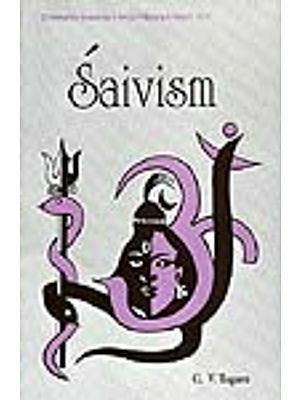 The names Sarva (arrow-wielder), and Bhava also, occur, and when his wrathful nature is thoroughly appeased, he becomes Sambhu or beneficent, and Siva or auspicious, which names occur at the end of the Satarudriya. He is also represented as wearing a hide ( Krttim vasanah ). How the epithet arose it is difficult to say. But, being represented as roaming in forests and other lonely places, the idea of investing him with the skin-clothing of the savage tribes may have suggested itself to a poet. The Nisadas, a forest tribe, are compared to Rudras, which fact lends support to this view. The name Rudra has been generalised and many Rudras are spoken of, and a wish is expressed that they may be far away from the singer. Here the signification of the common name appears to be an evil spirit. In another place also the name is generalised, but the signification is much better. The Rudras are called Ganas or tribes, and Ganapatis or leaders of tribes, work- men, potters, cart-makers, carpenters, and Nisadas or men of the forest-tribes. Thus these followers of handicraft and also the forest-tribe of Nisadas are brought into close connection with Rudra; probably they were his worshippers or their own peculiar gods were identified with the Aryan Rudra. This last supposi- tion appears very probable, since the groups of beings, whose Pati, or lord, he is represented to have been, dwelt in or frequented open fields, forests and waste lands, remote from the habitations of civilised men.